An Outdoor Interactive Pool Designed Specifically For Kids! This newest road to fun is ready — just in time to splash into summer! 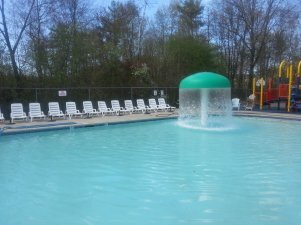 Our outdoor pool is 1.5 feet in the large toddler-friendly shallow area and 6 feet in the deep end. 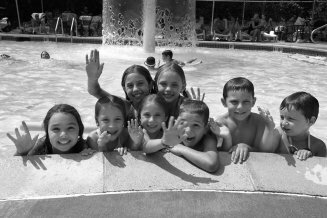 Five water slides, mushroom spray, and spray station playground and water tables provide fun for children of all ages. We have certified lifeguards on duty at all times. There are chairs, tables with umbrellas, restrooms, outdoor showers, a snack shack with table service and access to our air conditioned indoor snack bar. Pool hours are 11:00 a.m. to 6:00 p.m. daily. Our pool is open to the public daily. Admission is $16/child for the pool plaze or $21/child for a combo pass (all day entry to our indoor playground and the pool). We’re very excited to offer pool membership privileges! Pool memberships are granted on a first come, first served, basis. 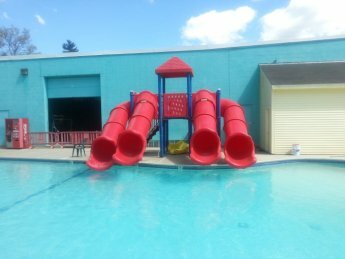 Pool Memberships for a family are $499 for the summer (unlimited use) or $285 for a month-long membership (start any time). 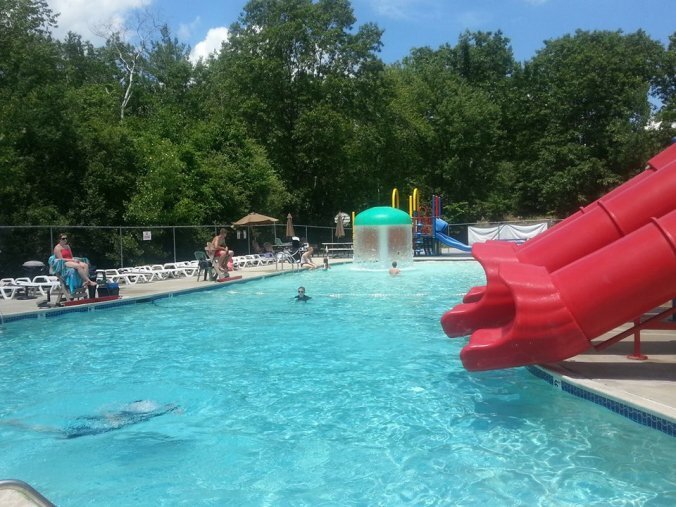 Pool Plaza at One Stop Fun is the perfect summer fun! We offer swim lessons June thru August. A daily trip to Pool Plaza is included in our summer programs.